Our range of products include polaramine tablets, astelin nasal spray, d loratin tablet, cetcip tablet, nasonex nasal spray and cyproheptadine tablets. 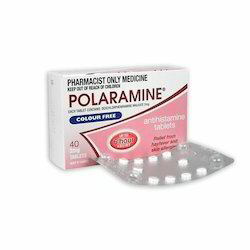 Available with us is an effective range of Polaramine Dexchlorpheniramine Maleate Tablets. These tablets are processed in sophisticated laboratory using high quality ingredients so that these are in tandem with medical industry standards. Post-processing, these tablets are duly checked on various parameters like purity and composition in order to assure high quality. Pain, depression, high blood pressure, osteoporosis, schizophrenia. Dexchlorpheniramine is contraindicated in newborns or premature infants and in nursing mothers. As in adults, antihistamines may diminish mental alertness in children, in the young children particularly, they may produce excitation. Because antihistamines may have potent anticholinergic properties, dexchlorpheniramine meets Beers criteria as a medications that is potentially inappropriate for use in older adults. 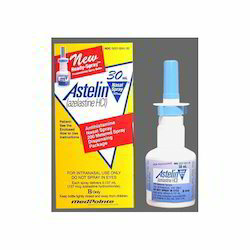 We are the stalwarts in supplying, importing and exporting high-quality Astelin Nasal Spray. To keep our offered medicines free from contamination, these should be stored using at a dry place in safe packaging. These drugs are processed using high-grade ingredients following medical industry standards. An overdose of Astelin is not expected to be dangerous. 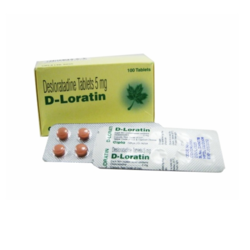 Our organization is counted amongst the most distinguished suppliers, importers and exporters of high-quality D-Loratin Tablet. To process these tablets, our vendors make use of high-quality ingredients following medical industry standards. The team of quality controllers working with us stringently checks these tablets on various parameters like purity and shelf life to provide best quality output. 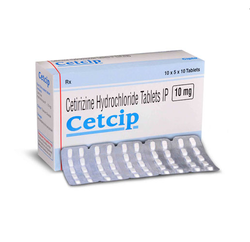 We are among the eminent organizations engaged in supplying, importing and exporting Cetcip Tablet. Processed using optimum grade ingredients, these tablets are in adherence with medical industry standards. These tablets are used to treat symptoms such as itching, runny nose, watery eyes, sneezing and various other allergies. 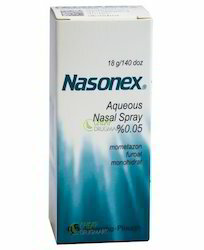 We are a well-known supplier, importer and exporter of a vast array of Nasonex Nasal Spray. The range offered by us is procured from renowned vendors of the market and is formulated using mometasone. These sprays are used for treating multiple myeloma and useful in curing mantle cell lymphoma. 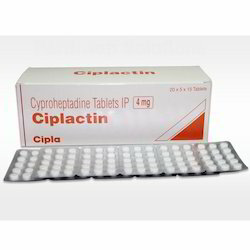 We have in our store an effective range of Cyproheptadine Tablets. The offered tablets are processed by medical experts following standards and norms of the pharmaceutical industry. These tablets are used for treating allergic reactions, especially high fever. Also, it can be used as a preventive measure against a migraine in children and adolescents. Before taking cyproheptadine, tell your doctor or pharmacist if you are allergic to it; or if you have any other allergies. This product may contain inactive ingredients, which can cause allergic reactions or other problems. Talk to your pharmacist for more details. Before using this medication, tell your doctor or pharmacist your medical history, especially of: breathing problems (such as asthma, emphysema), high pressure in the eye(glaucoma), heart disease, high blood pressure, kidney disease, seizures,stomach/intestine problems (such as ulcers, blockage), overactive thyroid(hyperthyroidism), difficulty urinating (for example, due to enlarged prostate). This drug may make you dizzy or drowsy or cause blurred vision. 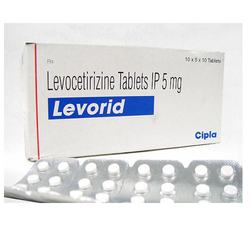 We bring forth for our clients highly effective Levorid Tablet. Processed using high-grade ingredients, our range gives instant results. These tablets act very fast without any side effects. Symptoms of overdose may include drowsiness in adults and initially, agitation and restlessness, followed by drowsiness in children. 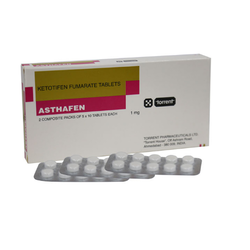 We are counted amongst the leading suppliers, importers and exporters of a high-quality assortment of Ketotifen 1mg Tablet. These tablets are used in allergic disorders and conditions such as rhinitis and conjunctivitis. The offered drug works by blocking the effects of certain chemicals in the body. It is very important that your doctor check your progress at regular visits. This will allow your doctor to see if the medicine is working properly and to decide if you should continue to take it. If your symptoms worsen, you should check with your doctor. This medicine may cause some people to become drowsy, dizzy, or less alert than they are normally. Make sure you know how you react to this medicine before you drive, use machines, or do anything else that could be dangerous if you are dizzy or are not alert. This medicine may cause some people to become excited, irritable, or nervous or to have trouble in sleeping. These are symptoms of central nervous system stimulation and are especially likely to occur in children. The tablet form of this medicine may affect blood sugar levels. If you notice a change in the results of your blood or urine sugar tests or if you have any questions, check with your doctor. 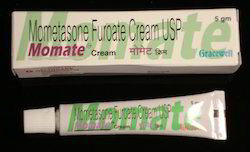 Owing to our rich industry experience, we are supplying, importing and exporting Mometasone Cream. This cream is formulated using superior quality ingredients under the close supervision of experienced medical experts. Our offered range of cream can be availed by customers in various specifications at nominal rates. This medicine may be harmful if swallowed. If swallowing or overdose is suspected, contact your doctor. 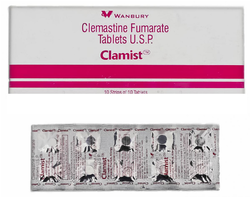 Our effective range of Clemastine Tablet is highly demanded by customers. The offered tablets are procured from vendors of high repute after scouring the market. These tablets provide relief from symptoms of allergies such as watery eyes, runny nose, itching and sneezing. Also, this medicines are taken with food to help prevent stomach upset. We are a reputed organization, which is involved in supplying, importing and exporting high-quality Momate Lotion. Mild burning, dryness, or stinging at the application site.